This gown is the epitome of classic comfort. 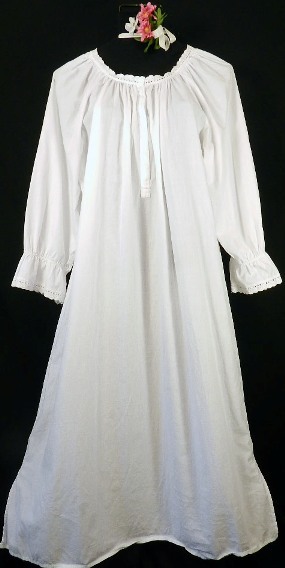 Peasant styling with soft eyelet lace around neck and button-front placket. 3/4 length sleeves feature non-binding elastic.